Sports teams may place team names and mascots on their helmets, or they may apply decals with the player's name or number. 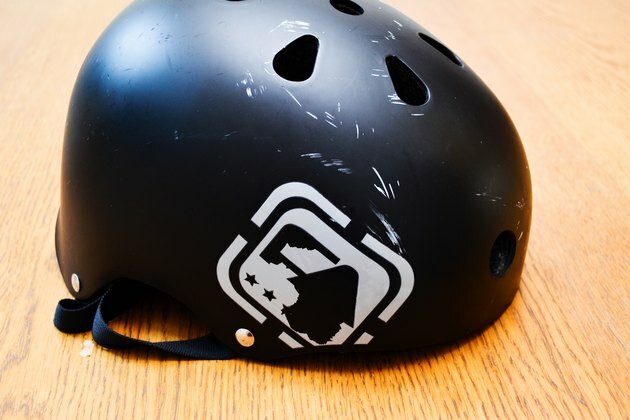 Motorcycle and bicycle helmets may have decals showing the brand of helmet, sponsor information or decorative features. 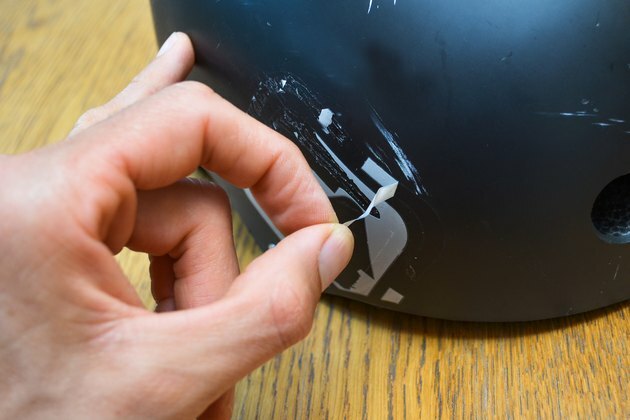 Depending on the strength of adhesive used and the amount of time that the decal has been on the helmet, the removal process may take several attempts until the decal and residue have been lifted. Position a hair dryer directly above, but not touching, the helmet decal. Blow the heat onto and around the decal. Continue until the decal is warm to the touch. Attempt to lift a corner of the decal with your fingers. 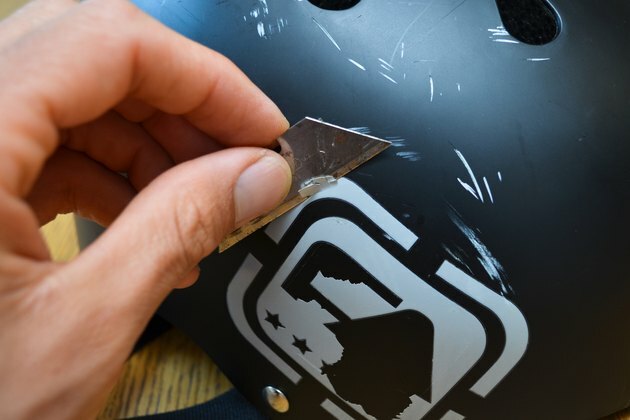 If the decal won't lift, slide a plastic paint scraper or razor under the decal. Continue sliding or lifting until the decal is removed. Dampen a corner of a soft cloth with rubbing alcohol or an adhesive-removing product. 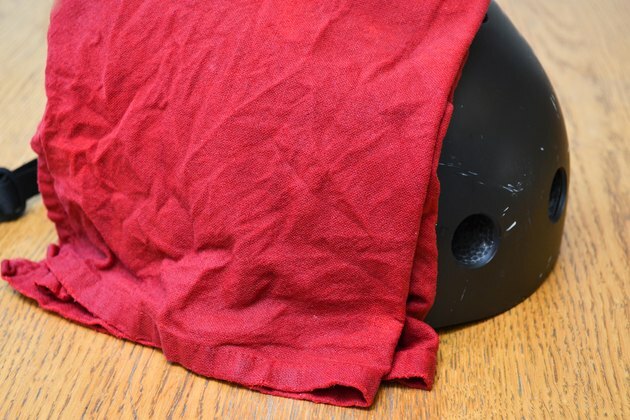 Rub the cloth into adhesive remaining on the helmet. Continue the process until all of the adhesive is removed. Dampen a soft cloth in cool water. 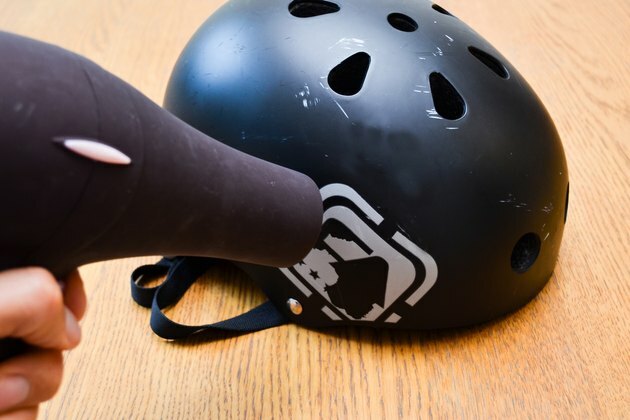 Wipe down the helmet to remove alcohol or adhesive remover residue. 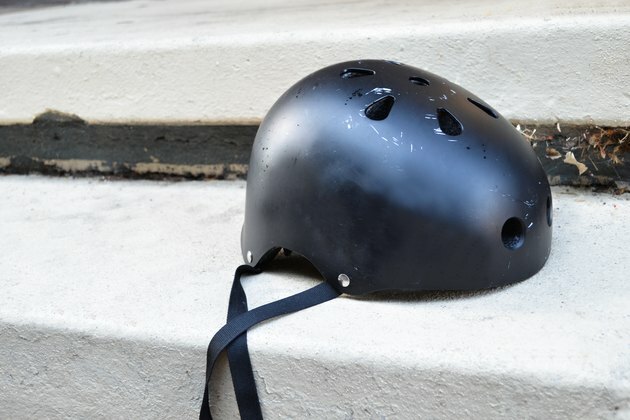 Allow the helmet to air-dry. 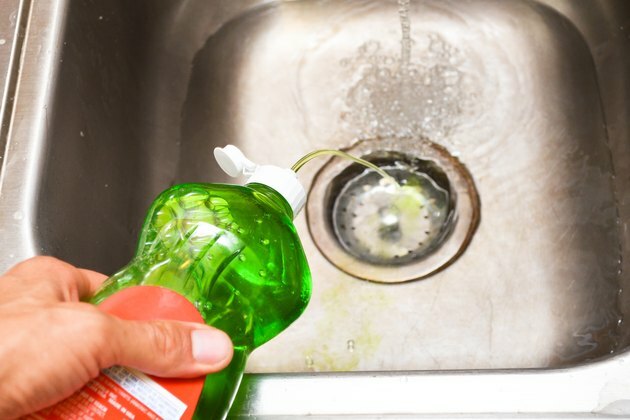 Fill a sink with warm water and a squirt of liquid dish soap. Dampen a cloth or dish towel in the soapy water. 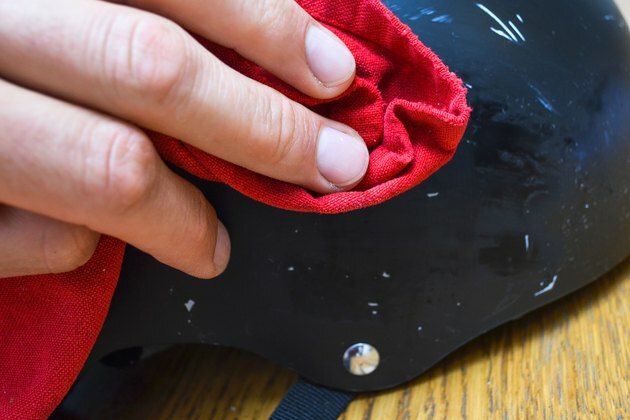 Lay the dampened cloth or towel over the helmet decal. Allow the water to work into the decal, continuing to resaturate the cloth or towel as it dries out. Continue this process throughout the course of a day. Dampen a corner of a soft cloth with baby oil, vegetable oil, mineral oil, rubbing alcohol or an adhesive-removing product. 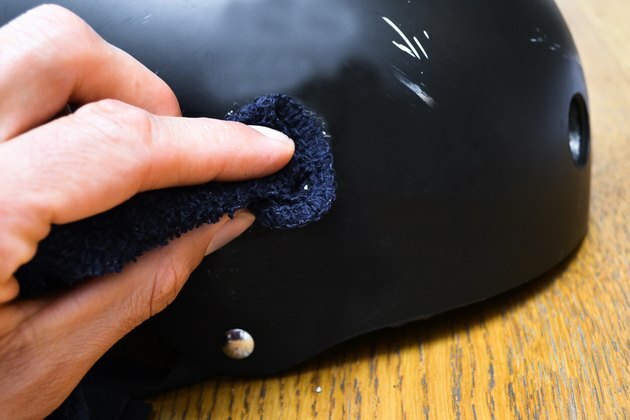 Rub the cloth into adhesive remaining on the helmet. Continue the process until all of the adhesive is removed.